A double-tanker truck loaded with gasoline has exploded on Interstate-15 in Salt Lake County, Utah, forcing the closure of the highway in both directions. No injuries have been reported. 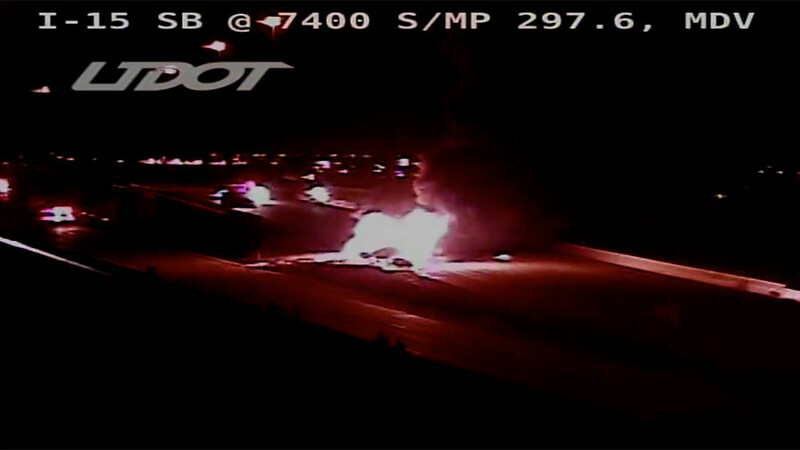 The vehicle fire occurred Thursday evening near the 7200 South area of I-15 in Midvale. 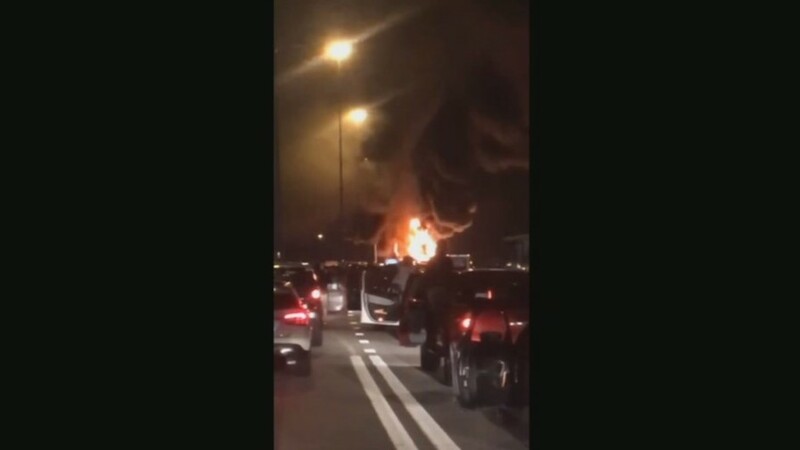 The Utah Department of Transportation, news crews and witnesses captured the inferno on video, as traffic came to a standstill. Fire crews were still battling the blaze at 8:30pm local time, one hour after the Utah DOT initially reported the incident on Twitter. There were no injuries related to the blast, the Utah Highway Patrol told KSTU. Authorities say the truck driver pulled over and fled his vehicle carrying 10,000 gallons of gasoline when its breaks caught fire. The highway will be closed indefinitely, officials say.